According to Bill Smith, NCL Vice President of Marketing, “This re-certification of our EARTH SENSE products to the GS-37 (2009) Standard underscores NCL’s commitment to promoting healthy, green cleaning at schools, office buildings and other facilities. 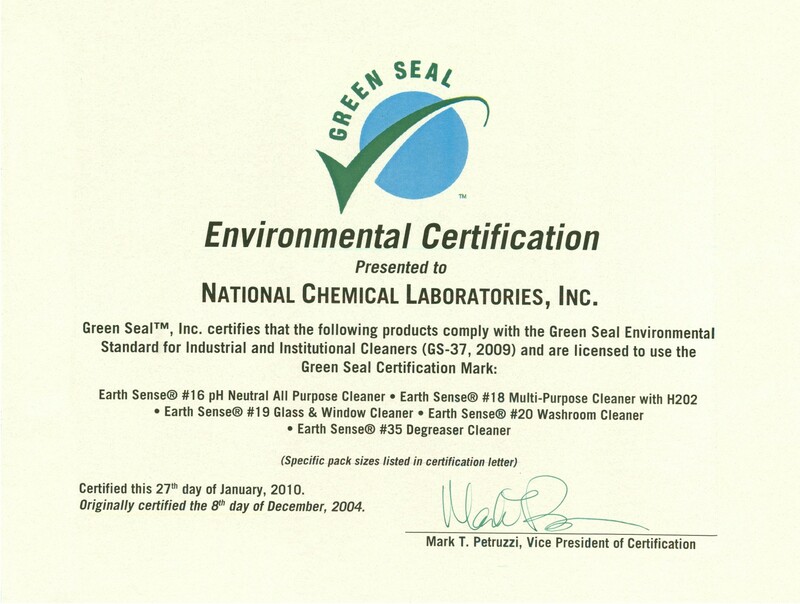 NCL is proud of our past accomplishments in producing high performance, environmentally-conscious formulations, and is excited about our future involvement with Green Seal, Inc. and other organizations in creating new, sustainable product solutions with improved profiles for human health compared withtraditional cleaning products”. environment and on human health. Click Here to download the Earth Sense Green Cleaning Products Brochure. Click Here to download the Green Seal Certification documentation.